Yesterday, my five-year-old son got the chance to try the LuvPony Kiddie Ride at Robinsons Galleria, and he rode not once but seven times. LOL! Two of those rides were free! One ride lasts for five minutes and costs Php50.00, which I find a bit steep, but my son really enjoyed every minute of it! 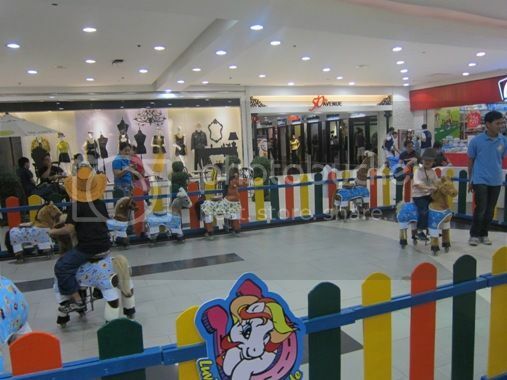 LuvPony Kiddie Ride is a great physical activity for children because kids are the ones controlling the horse using their legs, arms and waist. These innovative rocking horses use no battery, so they’re environmentally friendly, and they are built with a lovable plush skin that the kids will surely love. To complete their horseback riding experience, kids are provided with cowboy hats as they make their horses gallop to their hearts’ content. You can visit LuvPony’s website here to know more about their eco-friendly horses. 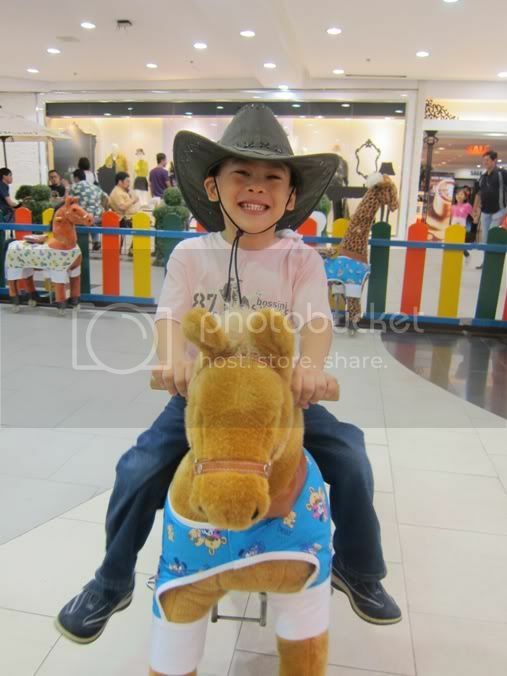 This entry was posted in LuvPony Kiddie Ride, Recreation, Robinsons Galleria. Bookmark the permalink. I’m sure my daughter would love that ride too. She’s also five :). we also have that here in SM Sta Rosa and my son didn’t want to push himself up and down so i had to be there with him! it was definitely an exercise!